In a Free State by P.R. 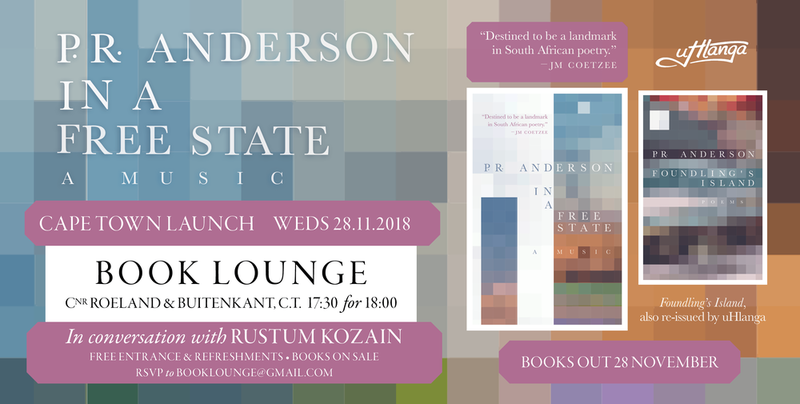 Anderson – Cape Town launch with Rustum Kozain! uHlanga is proud to announce the imminent release and launch of In a Free State: A Music, the third book by award-winning poet P.R. Anderson, as well as the new edition of his second collection, Foundling’s Island. Already lauded by Nobel Prize-winning author J.M. 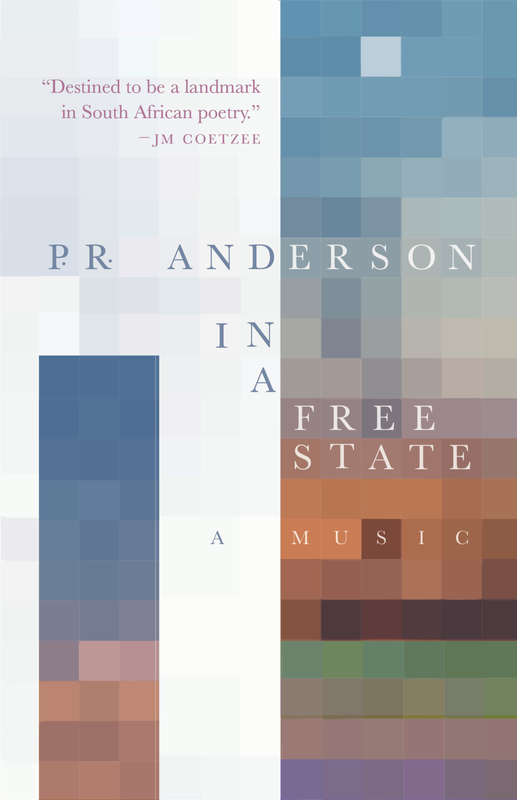 Coetzee as a book “destined to be a landmark in South African poetry”, In a Free State constitutes a unique and ambitious new approach for Anderson. With 74 poems split into 3 sections, choral spines and an assortment of voices, Anderson discombobulates and re-assembles the image and idiom of the various nations, landscapes and earthscapes of central South Africa. From first peoples, to those who took and settled on their ancestral lands, and to those for whom that land would come ancestral, In a Free State encompasses and compresses centuries of human drama into a fleeting and temperamental poetic narrative. Yet this is no drudge, nor is it a historical yarn. With an easy mastery of form and metre, coupled with swashbuckling metaphorical and -textual flourish, Anderson’s new “music” is a bold and visionary work. A piece of South African poetry – and South African storytelling – unlike any other. We’re also happy to be re-publishing Anderson’s award-winning second collection, Foundling’s Island, which was published by UCT’s Centre for Creative Writing and Electric Books Works in 2007, and which, as an unfinished manuscript, shared the 2003 Sanlam Literary Award. The collection announced his arrival as a fresh and significant voice in South African poetry. In print again for the first time in a decade, Foundling’s Island’s journey of coasts, creatures and dreams is as tightly crafted and joyously readable as it has ever been – a collection in which form is created and meaning maintained with the lightest of touches, to the greatest effect. P.R. Anderson, born in 1967, studied at the Universities of Oxford and Cape Town; he currently lectures at the latter in English Language and Literature. The recipient of the 2017 Thomas Pringle Award for Poetry and the 2003 Sanlam Literary Award, he is also the author of the collection Litany Bird (Carapace Poets, 2000). In a Free State and Foundling’s Island will be launched on Wednesday 28 November 2018 at the Book Lounge in Cape Town. Further events in the city and in the country will be advertised in 2019.
uHlanga is proud to announce a partnership with Protea Boekhuis's Distribution Centre. Protea Boekhuis started as Protea Boekwinkel, a small bookstore in Pretoria, in 1992. Twenty-five years later, they now publish books, as well as distribute and represent the books of other presses. As of 1 September 2018, Protea Boekhuis will represent, sell and distribute all uHlanga titles to the book trade in South Africa and Namibia. uHlanga would like to sincerely thank Xavier Nagel Agencies, our distribution partner since 2015, for their great work over the past three years. 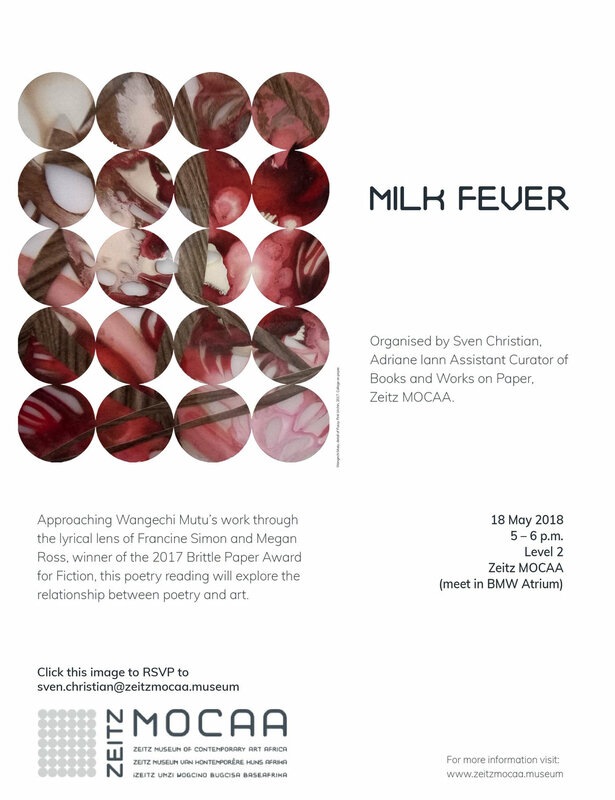 uHlanga is happy to announce the imminent release and launch of Milk Fever, the debut collection by East London writer Megan Ross. The book, which releases May 2018, will be launched with a series of events in Cape Town, beginning with a launch at the Book Lounge on Monday 14 May, with Rachel Zadok. Megan will also be appearing at the Franschhoek Literary Festival that weekend. The book will then be launched in the Eastern Cape and Gauteng (dates and venues TBC). With a beautiful cover collage by Taiwan-based artist, Leora Joy, this is a book striking both in form and content. We are proud to announce the upcoming publication in 2018 of collections by Megan Ross, Saaleha Idrees Bamjee, P.R. Anderson and Siphokazi Jonas. In 2017, uHlanga’s South African chorus swelled. Celebrated poets Francine Simon, Douglas Reid Skinner and Koleka Putuma all published single-author collections to national and international acclaim, while our anthologies Cutting Carrots the Wrong Way and Imbewu Yesini amplified the voices of young local poets to the country at large. We hope to continue sharing the work of daring, experimental South African writers with you, and thus we are thrilled to announce the poets who will be publishing with us in the coming year. Megan Ross is a writer, poet and journalist from the Eastern Cape. She is winner of the 2016 Iceland Writers Retreat Alumni Award, the 2017 Brittle Paper Award for Fiction and was second runner-up for the 2016 Short Story Day Africa Prize. She has been shortlisted for the Miles Morland Writing Scholarship and longlisted for the Writivism Prize. Her forthcoming book with uHlanga, Milk Fever, will be her debut collection of poetry. Saaleha Idrees Bamjee is a photographer and writer based in Johannesburg. She has an MA in Creative Writing and is the winner of the 2014 Writivism Short Story Prize. Her poetry has appeared in New Contrast, New Coin, Ons Klyntji, Aerodrome and the Sol Plaatje European Union Poetry anthologies, among others, as well as the special South African issue of Illuminations. She was the Writivism Emerging African Writers resident at Stellenbosch University in October 2016. Siphokazi Jonas is a writer, performer and poet, who has written, produced, and performed in three one-woman poetry productions: Poetry Under the Stars, Wrestling with Dawn, and Conspiracy Theory. A champion slam poet and runner-up for the 2016 Sol Plaatje Poetry Award, she currently works at the University of Cape Town, teaching the history of isiXhosa praise poetry, among other things. Her work engages with questions of faith, identity, gender-based violence, cultural and linguistic alienation, black women in rural spaces, and the politics of the everyday. We are incredibly proud to have these poets joining us, and we’re eager to bring their work to you over the course of what promises to be a great year for South African poetry. More news, including release dates and advance information about each poet’s collection, will be forthcoming in the new year. Helen Moffett's Prunings wins a SALA! We are thrilled to announce that Helen Moffett's collection Prunings, published by uHlanga in 2016, has been named one of two co-winners in the Poetry category of the South African Literary Awards. uHlanga would like to thank the Department of Arts and Culture and the wRite Associates for the honour. Other winners can be viewed here. Prunings is available and available for order in all good bookstores in South Africa, and through the African Books Collective in the Europe and the U.S. Readers in other countries are welcome be in touch with us to order copies directly. Can you write well, take initiative, pour wine, chat comfortably with authors, proofread like a hawk, email strangers, and use social media, mailing lists, Excel, and Word? Would you like to develop those skills further while learning and working at uHlanga Press? Applications are now open for an intern position at South Africa’s premier independent poetry publisher. This is an opportunity to work closely with some of the best South African poets and their publisher, to learn the ins-and-outs of the publishing industry, and most importantly to develop or improve skills such as writing, marketing, advertising, publicity, photography, social media management, communication, proofreading, content curation and networking. The only hard and fast rule is that we need someone who can write well and learn fast. This is not a full-time internship and would be suitable for someone who can manage their time while doing their own stuff. No prior experience in the industry needed. While it is not strictly necessary, it would benefit your application if you are working towards, or have recently completed, a degree or diploma in English or Journalism. The internship is about a year long, but that’s not binding (see: current intern writing this advert to replace herself because she’s moving overseas after eight months). We work mostly remotely but you should ideally be located in Cape Town for launches, meetings and events. Oh, and while it doesn’t pay much, there is a little cash in it for you. We don’t believe in letting writers work for free. uHlanga poet and author of Collective Amnesia, Koleka Putuma, was featured in this month's Elle South Africa magazine as part of a series of mini-profiles on womxn using spoken word poetry for change. In the piece, Putuma discusses the success of her debut collection and adds that Collective Amnesia has also been prescribed for study at tertiary level in South African universities. "It's a relief and a blessing to be studied and inserted into the curriculum while still alive," she said. Collective Amnesia is now prescribed as part of Uhuru Phalafala's English course at Stellenbosch University. It was featured in a guest lecture series by noted writer and academic Gabeba Baderoon at the University of Cape Town in May and Putuma's work is also being taught in the Drama department at Rhodes University. Sinking it's claws deeper in the academy, Collective Amnesia has also just featured as the subject of an academic paper presented at the "(Re)thinking African Feminisms Colloquium" in Grahamstown last month and will feature in academic papers at both the South African Society for General Literary Studies (SAVAL) conference (17-19 August) and at the English Academy of South Africa conference (6-8 September). The reviews pouring in for the collection since it's launch in April this year have been thoughtful, congratulatory and urgent. They suggest that this is a book that has been necessary for a long, long time. in the review for Afripop! Luso Mnthali calls the book a collection of "survival poetry", while Sabelo Mkhabela for OkayAfrica writes: "It’s surreal to hold an anthology of someone who speaks the way I do—with slang, making reference to the internet, hip-hop, Oppikoppi, Nike, God’s medical bill, and has no economy for expletives. The South African publishing industry has its own types of books that it favors, and Collective Amnesia just wouldn’t normally make the cut. Which is why Putuma’s book is a special moment." It is a special moment, especially as we at uHlanga have extended the print run four times, selling in excess of 2000 copies. Collective Amnesia was also in the Number 1 spot on The Book Lounge's best-seller's list two weeks ago, beating out Arundhati Roy's Man Booker longlisted The Ministry of Utmost Happiness for the top spot. This special moment has been celebrated by Maneo Mohale for the Mail & Guardian as a "stunning, complex exploration of the connections between personal and political memory" and this is equally captured in the collaborative effort of the accompanying Collective Amnesia visual series shot by Jarryd Kleinhans. In her immersive profile of Putuma for Between 10 and 5 Chaze Matakala asserts that: "We’ve got to appreciate that Koleka is as much of a visual magician as she is a written one, who aims to reach as many souls as possible." The visual series can be found online in the three parts that match the three sections of the book: Inherited Memory, Buried Memory and Post-Memory. Memory is a key thematic concern in the book, and Putuma has ensured that she and the collection will also be remembered as one of the most insightful, honest and groundbreaking poetry publications in the post-post-1994 era. 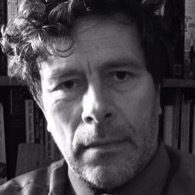 uHlanga is proud to announce the upcoming publication of Liminal, the seventh collection of poems by Douglas Reid Skinner. More information about the book may be found here. Please join our mailing list or Like uHlanga on Facebook to stay up-to-date! In February this year, we started offering books via mail order through the Post Office. While this has been extremely popular so far, we regrettably have to suspend this for now. The reasons for this are below. In the build-up to the release of Koleka Putuma's breakout (and fast-selling) debut Collective Amnesia, I thought I would try offer books via a pre-order mail order campaign. This was so we could be able to offer this important book to places that don't necessarily have bookstores, and to get around South Africa's lacklustre bookselling and distribution networks (no fault, of course, of our awesome distributors at XNA). In order to keep the book affordable, at R100 per copy, we decided to use the vast infrastructure already put in place by the South African Post Office. Normal postage, without tracking numbers or anything special, is, throughout the vast majority of the country, reliable and surprisingly fast. It seemed a no-brainer, and fell in line with uHlanga's broader philosophy of making books more accessible to South Africans, and to expand this country's reading population. While this campaign has worked tremendously, with over 200 mail orders of Koleka's book – many of which going to towns and city areas without good bookstores – the vast majority of books going to Gauteng (which in turn constitutes the bulk of our orders) are being seriously delayed or even lost by the South African Post Office. While a book posted to the rural Eastern Cape might take only five days to arrive, our orders posted to Gauteng addresses are taking upwards of two months. I am currently receiving at least two mails per day from Gauteng customers asking where their books are. It's frustrating for me to have to write to all of them and say, honestly, I don't know – it has everything to do with the Post Office in Gauteng, and they'll just have to wait. But this is an unacceptable answer for many, and it doesn't particularly increase trust in my work. The plan is clearly not working for one of the main provinces of the country, and as such, it is unacceptable for me to continue giving a unequal service (and in some cases, a disservice) to readers. So I've made the decision to stop offering mail order for our books countrywide until I find a solution to the issue that won't greatly drive up the cost of our books. If you have ordered already, don't worry – I'll honour your order, and make sure your books get to you. If you are in Gauteng and your book has not arrived, don't worry – I will find ways to get your book or books to you. I apologise for the disappointment, even though, frustratingly, it's completely out of my hands. For now, regrettably, our books are only available in bookstores and at our events. If your local bookstore does not stock our books, then i) ask them what's wrong with them and why they don't stock poetry and ii) make the order. The more bookstores are asked where our books are, the more they have to listen. I will make an update to this post once our new online store and mail order service is up and running. Earlier this year, uHlanga hosted its first-ever open submissions period for original manuscripts of poetry in South African languages. We received far more submissions that we could have ever imagined, with over 100 poets sending in eligible work. While we're still reading everything that has been sent in, I thought that, as uHlanga's publisher, I would share some insights that we can take from the submissions period, as well as offering advice to new writers, as well as many of the writers who weren't successful with their submissions. We received, in total, 119 eligible manuscripts for our consideration. This presented a massive challenge for us. As it stands, uHlanga is solely my personal concern. I hire one intern to help me with some tasks, including the reading of these manuscripts. We have also hired readers in languages in which neither I nor my intern are sufficiently proficient (or knowledgeable about their poetic contexts) to judge for publication. As it stands, I judge it will take our team about four or five months to give each manuscript the attention it deserves. At first, the fact that 119 writers (more, if you count ineligible submissions, such as submissions of single poems or manuscripts that had been badly formatted) had sent in their work to us seems encouraging for the health of poetry writing in South Africa. Analysing these submissions, though, paints a more complicated picture. The vast majority of submissions were made in English, or predominantly in English. Although we were open to submissions in certain African languages, very few submissions in Zulu and Xhosa (and none in Sotho) were sent in. A small amount of submissions in Afrikaans, or predominantly in Afrikaans, were also sent in. For me, these facts point to a couple things. First, uHlanga likely does not have a reputation for quality publishing in languages other than English. Afrikaans writers will most likely go for Afrikaans presses. This is understandable -- the Afrikaans literary industry is relatively healthy in this regard. "Although many writers are reticent to write in African languages, much of this reticence is down to a perceived lack of opportunities for publication or appreciation." More important (and worrying), however, is our inability to attract more writers in African languages. The lack of African language submissions suggests one of two things: either there are few writers in African languages, or uHlanga failed to engage and make accessible our opportunity to people who write or would like to write in African languages. Given my experience working at Paperight and Prufrock, and conversing with writers at poetry events around the country, I think it's more the latter than the former. Although many writers are reticent to write in African languages, much of this reticence is down to a perceived lack of opportunities for publication or appreciation. The point, then, is to make more opportunities available, and to be consistent with offering them. And although it is unlikely that we will publish a book in an African language from this round of submissions, it is important in future that we do find books to publish in African languages, so that there is a visible and tangible sense that opportunity is still being created. I must also be frank about my possible failure to engage more with African language writing groups, and to advertise opportunities in more places, and in more places in which more writers are able to find them. Social media is powerful, but can only do so much. Still, the fact that 119 writers sent in their manuscripts for us to read and consider is a huge vindication of my beliefs that i) people love to write poetry; and ii) we can build a stronger industry and appreciation around poetry in South Africa. The vast majority (in fact, almost all) of these manuscripts, however, will be rejected. Ten or so will receive letters saying that we enjoyed reading their work, and that they're good poets, but that their manuscript isn't just quite right for our publication needs at this point. This is not a nice letter to receive, often because a near-miss is often more painful than a long shot missing its mark. This, however, is a common letter for any writer to receive. It's an encouragement, and should be taken as such. Running a poetry press (especially one as small as uHlanga) is a highly subjective affair. I will only publish something if I love it. If I just kind-of sort-of like it, the book will have no chance, either in the market or in the critical realm. I have to be fair with people's dreams and ambitions. Their work might be better off with another small press. That said, people's dreams and ambitions can be discouraging. Aspiring poets want people to read their poems without reading other people's poems. Gus Ferguson, the legendary publisher and editor of Snailpress and Carapace, was known for his editorials that were sometimes poems, and poems that were sometimes editorials. One such poem-itorial opined that if he had as many subscribers as he did submitters to his magazine, Carapace would have been a going and growing concern. The fact remains: Aspiring poets want people to read their poems without reading other people's poems. How do I know this? Two reasons. First, sales numbers don't add up. Second, aspiring poets aren't reading contemporary poetry. The vast majority of manuscripts that we will reject this period show little to no engagement with South African poetry. The average South African poetry book sells anything between 50 and 200 copies. Magazine subscriptions are also in this realm. We had around 200 writers register their interest in submitting their work to us. I have my reservations about whether the 200 people who submitted their work constitute the poetry book-buying public of Southern Africa. It's easy to read when someone doesn't read. The same ideas and idioms, cliches and tropes, subjects and experiences, replay themselves over and over across many of the manuscripts we received. If some of these writers engaged with those who were writing in their close proximity, they would know that the poems that they write have already been written. They would know that the best writing often comes from a place of exact and specific context and subjectivity. They would know that poetic forms and techniques have specific uses; that some are old hat, and some are aching to be transformed in new ways. Many writers and scholars opine that we need to change the poetic canon, to make it more representative of our concerns, our politics, our images. Creating a new canon, however, is a deliberate thing. It requires writers engaging with other writers, and using the spirit of other writing in their own writing. Kafka isn't canonical because people say so; it's because writers transmute the spirit of his work in their own work. Adichie isn't becoming canonical because the Twitterati say so; it's because the images and subjects of her writing are being deliberately carried into, transformed, commented on, and criticised in the creative work of other writers. If you do not engage with your contemporaries, you cannot influence anything. This is why I would say -- and this might be an unpopular opinion -- that the work of transforming poetry publishing and appreciation in South Africa isn't the sole domain of publishers. It's the task of readers, and readers who are writers. 3) OK, you've pontificated enough; what can I change? I am very happy to acknowledge that many dozens of people who submitted to our open submissions period write solely for themselves, and thought that they'd send us their work on a whim. I think that's awesome, and should be encouraged. If you write solely for yourself, or your loved ones, and that's your ambition, then don't let anything I say discourage you or stop you from doing that. I play guitar. Sometimes I share my music with people. I don't expect to be signed to Universal Music, though. Likewise, you probably don't expect someone to make a book of your work. If that's your experience, then I only have love for you. Continue to write and share to your heart's content. If you do, however, want to be more engaged with poetry as a living cultural process, though, there are a couple things you should do. First, read poetry and subscribe to local and international literary magazines. If this is out of your budget, then read online. Then, join writing groups or submit to literary magazines that you have read and like. Start a blog. Share. But most of all, read. If you don't know of any literary magazines in South Africa, here's a list of the ones I like best: Prufrock, Aerodrome, New Contrast, Stanzas, New Coin, The Kalahari Review, Type/Cast, Itch. There are many more, however. If your ambition is to have a book published, then you should try to have individual poems published in magazines and anthologies first. I know this post might have seemed a little over-critical. That's not my intention. My intention is to speak frankly about how I read the poetry landscape of this country from my limited vantage point, and to give frank advice to people who want to write seriously. I would like to extend my sincerest thanks to every single poet who submitted to this year's open submissions. Despite my criticism, I want you to know that I have read (and enjoyed reading) all of your work, and that I appreciate the time, love, concern and hard work you pour into your poems. Sharing is scary -- I know this from my own writing career -- and I hope that you don't take any negative feedback or rejection too much to heart. As with all things, we grow more and know more. That applies to me, as much as you. We at uHlanga are wildly excited to announce the upcoming publication of Collective Amnesia, the eagerly-anticipated debut collection from award-winning page and stage poet Koleka Putuma. Pre-order Collective Amnesia for only R100 by clicking here. Collective Amnesia will be released early-April 2017, with launches around the country. Please join our mailing list, Like uHlanga on Facebook, or follow Koleka on Twitter to stay up-to-date! Find out how to pre-order Collective Amnesia for only R100 by clicking here! uHlanga is proud to announce the upcoming publication of Thungachi, the debut collection of Durban-born poet Francine Simon. With expert, elegant and economical verse, Thungachi blends ancestral Catholic mysticism and ancient folk Hinduism to create new and essential portraits of modern South African-Indian identity and womanhood. Unflinching and meditative, the collection tracks the journeys, migrations and maturations of peoples, families and the self, all the while deftly innovating with form, language and style – ultimately marking Simon out as one of South Africa's most unexpectedly excellent poetic debutantes. Francine Simon was born in Durban in 1990 to Indian Catholic parents. Her poems have been published widely in South African literary journals, such as New Contrast, New Coin, Aerodrome and Type/Cast, as well as three volumes of the Sol Plaatje European Union Poetry Award Anthology. Currently, she is a PhD candidate in the English department of Stellenbosch University. Thungachi will be released in late February 2017. Click here to find out more information about the book. Like uHlanga on Facebook to keep up-to-date with launch events and dates. uHlanga are excited to announce our first open submissions period for original chapbooks and collections of poetry from South African poets, or poets living in South Africa. This is the first time we are announcing an open reading period, and we are looking forward to reading exciting new work! Please take note the following important information. Submissions will be open from 1 February to 28 February 2017. Manuscripts must be predominantly written in English, Zulu, Xhosa, Afrikaans, or a combination of those languages. Every manuscript will be read, and all will be considered for publication. There is no indicated length for manuscripts, although most books published by uHlanga contain 20-40 poems. (Manuscripts envisioned as chapbooks, for example, may be shorter, while epic poetry may contain very few poems.) The more coherent, structured and economical your manuscript is, the higher the chance of it being published – so do not simply include every poem you have ever written. Successful manuscripts will be published in the manner and format – e.g. full collection, chapbook – that uHlanga deems most appropriate for the content. Please note that anthologies or retrospective collections will not be accepted. Manuscripts containing poems previously published in magazines, anthologies, journals, or online will be accepted, as long as each previously-published poem is acknowledged in the manuscript, and as long as the writer has the rights to reprint such poems. Manuscripts that have already been published previously as a whole will not be accepted. We accept manuscripts from writers of any experience, whether they have published a collection of poetry before or not. The only criterium for eligibility is that writers either be South African, or a permanent resident of South Africa. Only writers of successful submissions will be replied to, and will be offered our standard contract. Please note that this is not a competition: we reserve the right to publish none of the manuscripts received during this submissions period. Submissions will only be accepted through our email address, submissions@uhlangapress.co.za, as either .doc or .pdf attachments, with all text in Times New Roman. Include your name and contact information on a cover letter attached alongside the manuscript. Being familiar with our books is essential: feel free to mention to us why you think your manuscript will be a good fit for uHlanga. Do not submit your manuscript before 1 February 2017 or after 28 February 2017 – it will be discarded without being read. Good luck! Announcing: Imbewu Yesini, an anthology of young Cape poets! uHlanga, Lingua Franca Spoken Word Movement and the Cape Youth Poetry Hub for Expression and Rhythm (CYPHER) are proud to announce the upcoming publication of Imbewu Yesini, an anthology of poetry, predominantly in Xhosa, written by young Cape poets. Imbewu Yesini – compiled of work by various members of CYPHER aged between 15 and 19 – presents a journey through the gendered experiences of young poets, bearing witness to the wounds and the narratives that have come to separate women and men, and celebrating our power to shed worn petals and plant new seeds. This marks the first of many upcoming collaborations between uHlanga, CYPHER and Lingua Franca, helping to bridge the gap between page and stage, and to promote publication of more poetry in African languages. CYPHER's youth poets represent a diversity and breadth of communities in the greater Cape Town area and beyond, including Fish Hoek, Khayelitsha, Delft, Mfuleni, Stellenbosch, Gugulethu, Knysna, Kraaifontein, Philippi, Simon’s Town and many more. Featured poets include Lesego Mkhize, Sethu “Qhawekazi” Phekelela, Molupi Lepedi, Aviwe Gwele, Palesa Mohlala, Vusumuzi Mpofu, Genevieve Zongolo, Phelisa Sikwata and Sisipho Makambi. The cover art is by Danny Mose Modiba. The collection also includes a foreword by uHlanga poet Koleka Putuma, whose debut collection, Collective Amnesia, will be published by uHlanga in April 2017. Imbewu Yesini is to marked for release at the end of November. For launch details, follow both uHlanga and Lingua Franca on Facebook.